Obtaining a grant of probate is often a crucial step in the administration of an estate. If a loved one has passed away and appointed you as an Executor in their Will, you will be responsible for administering their estate. In general, this will involve taking control of your loved one’s various assets and, ultimately, distributing the estate according to the terms of their Will. A grant of probate gives you the legal authority to carry this out these duties. Recently, the HM Courts and Tribunal Service announced that the grant of probate certificate would be changing. This is the document which acts as physical proof that a grant of probate has been issued. A digital signature (instead of the inked signature on the old grant). A digital seal (instead of the embossed seal on the old grant). A validation phone number, for interested parties to call and check the authenticity of the grant if necessary. When does the change occur? 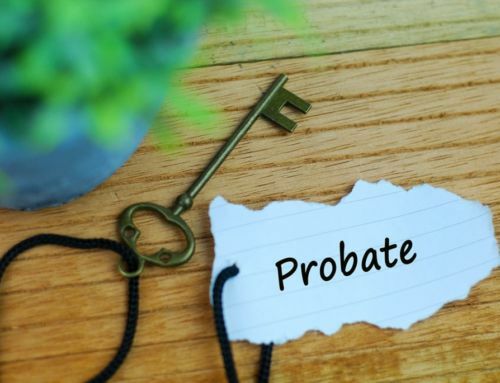 The new style grant of probate will be issued starting from 25th March 2019. If you are an Executor applying for a grant of probate, you do not need to do anything special in response to these changes. Probate registries will continue to handle paper applications whereas online applications will be dealt with by a centralised office. Any grants of probate issued after 25th March will use the new style of certificate. If you have already received an old style grant of probate, don’t worry! 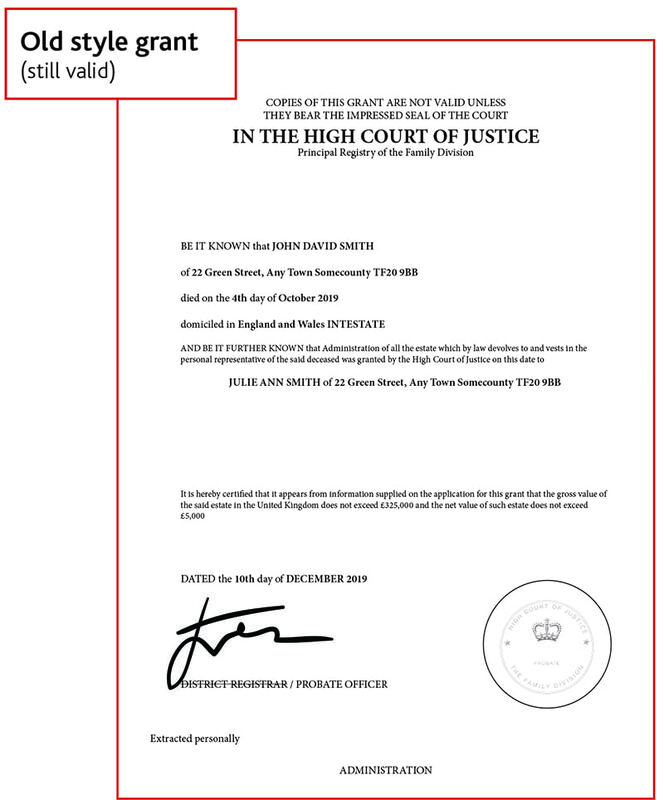 The old style certificate will continue to be valid even after the new form has been introduced. There is also no date for when they will cease to be valid. After 25th March, however, no grants of probate will be issued in the old style form. It is important, however, to be aware of the new style certificate, and that these changes are taking place. You may face queries about your grant of probate certificate from parties involved in the administration of the estate, at least until the change of form is more widely known. Hopefully such any confusion will be rare, but it is not difficult to imagine a situation where an organisation believes the old form to be invalid, or is unaware of the new form’s introduction. Why is the grant of probate changing? The new style grant of probate is intended to make certificates more secure. Old grants could vary in appearance when issued by different probate registries, making it more difficult to distinguish genuine and fraudulent grant of probate certificates at a glance. 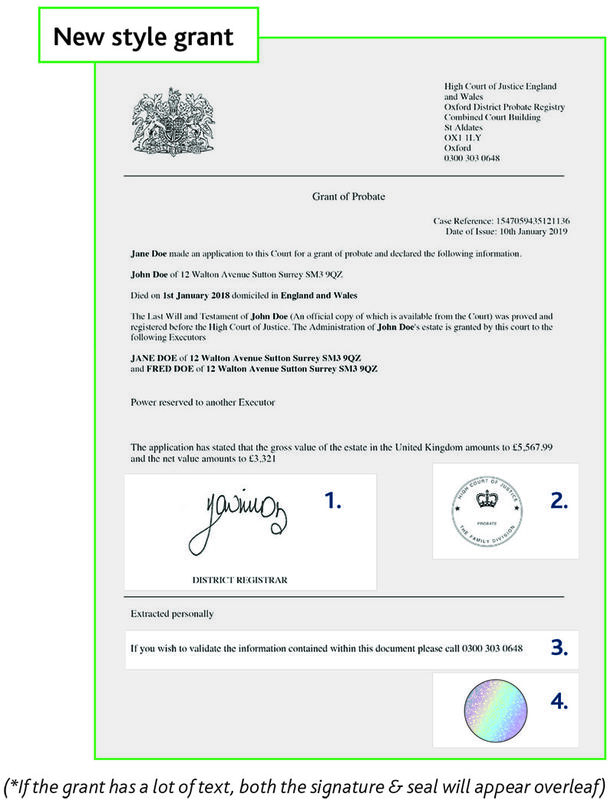 The new, standardised form is hoped to make authentic certificates instantly recognisable. Also, the addition of new features, such as the validation telephone number and the hologram, should make the document much more difficult to forge successfully. These are important protections as grants of probate confer significant powers on Executors. 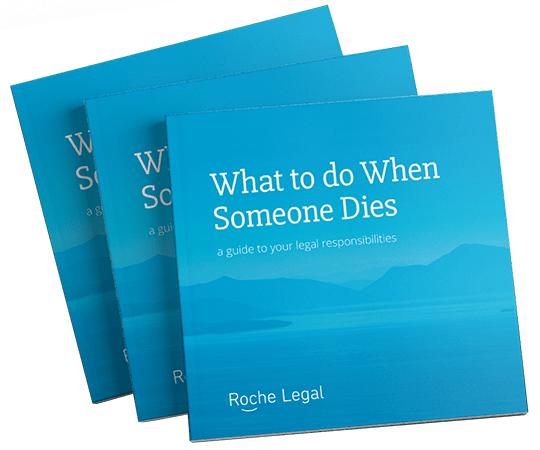 Without such powers, Executors would not be able to take control of the assets of the person who has died and so would be unable to administer the estate. Are grants of letters of administration also changing? A grant of letters of administration is similar to a grant of probate, but, in most cases, it is obtained when the person who died did not make a valid Will. A grant of probate can only be issued to Executors appointed by the terms of a Will. People administering an estate who have not been appointed by a Will are usually referred to as Administrators, and take their legal authority from a grant of letters of administration. According to HM Courts and Tribunal Service, grants of letters of administration will also be changing, adopting the same new features as the new grants of probate. If you would like to discuss how the changes to the grant of probate might affect you, or you want advice on acting as an Executor or Administrator, please contact us.